Plumstead was on the flight path for German bombers and their supporting fighter planes as they targeted London. 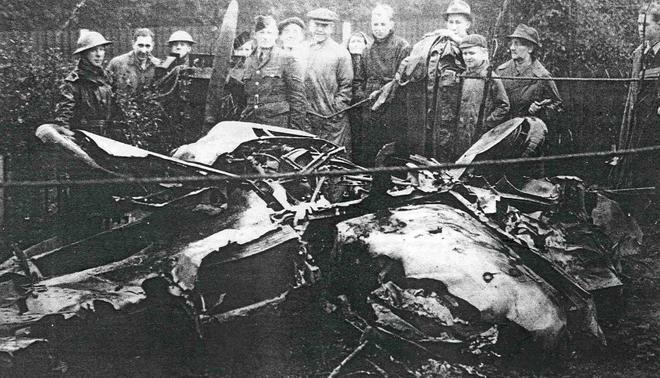 Only a short walk from the school, a yellow nosed Messerschmitt Bf 109E crashed in the front garden of a cottage on the verge of a roadway in Wickham Street, Plumstead on Sunday 20th October 1940. It had been involved in a dog fight with a Spitfire. Precautions had to be taken against German attack. 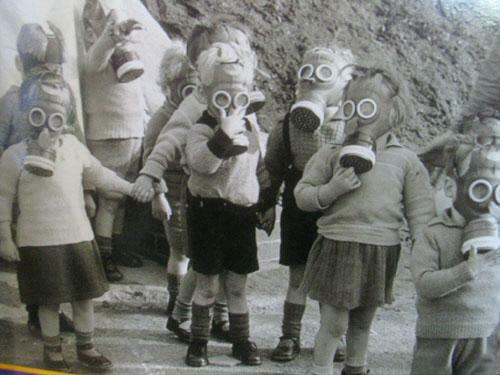 Children had to have a gas mask to protect them from poison gas. Children at St. Patrick’s had to practice putting on their gas masks quickly and safely. In 1944 Germans started to use their new weapon to attack London - the V1 and later the more developed V2 flying bomb. This caused real panic, especially as the school was open again. Some children had returned to London after been evacuated to the countryside in Maidstone.